A red-haired princess loses her family and her kingdom—now she must rise and fight for her throne! Born on February 3 in Kumamoto Prefecture in Japan, Mizuho Kusanagi debuted with Yoiko no Kokoroe (The Rules of a Good Child) in 2003. Her other works include NG Life, which was serialized in Hana to Yume and The Hana to Yume magazines and published by Hakusensha in Japan. 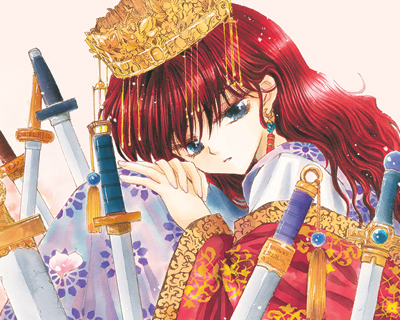 Yona of the Dawn became an anime in 2014. Yona and her friends leave the Water Tribe lands and meet a boy named Karugan in an Earth Tribe town near the nation's border. When they cross the border to take him back home, one of the Dragon Warriors unexpectedly collapses! Never miss a new release. Follow Yona of the Dawn today!